The last of this year's Harvest Festivals happens on Sunday at 11am at St Peter's Mill End. We would love to welcome you to join us! 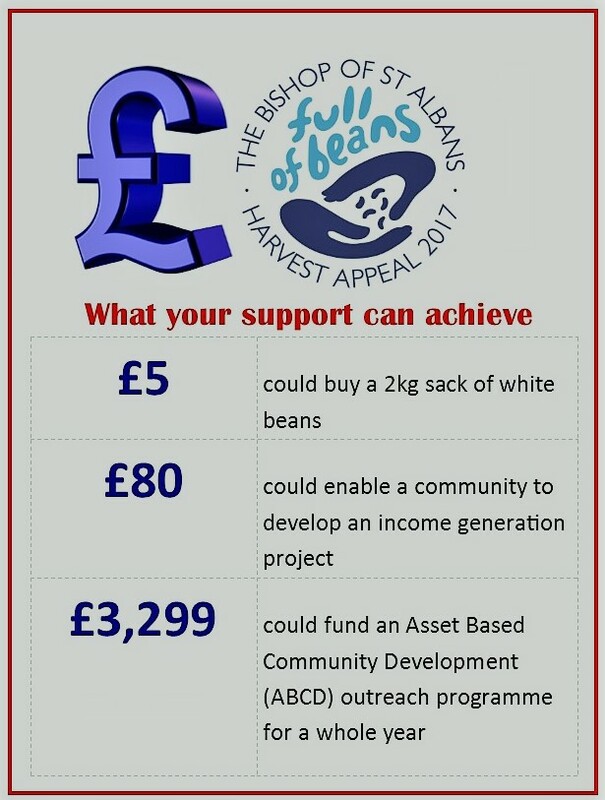 The poster below makes some suggestions of things you may like to bring including traditional Harvest produce and some extra money which will go to support the work of USPG in the Philippines. Our ongoing work supporting refugees needs - nappies, wipes, socks, pants, toilet paper, toothbrushes and shampoo. 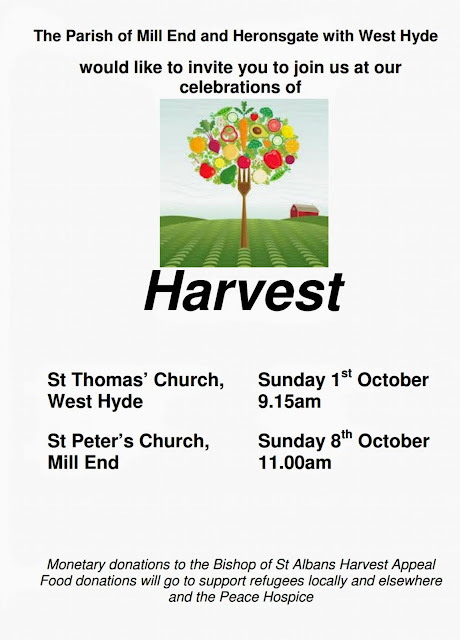 Immediately following the service, (realistically around 12.15pm), there will be a Bring and Share lunch in the parish hall. It would be wonderful if you felt you could stay!